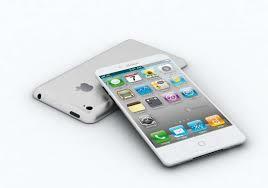 iPhone 5S: What does rumors suggest? There are various sources suggesting that the launch may take place in June, July or August. But, one analyst (http://www.macrumors.com/2013/03/26/analyst-predicts-new-iphone-5s-in-june-low-cost-iphone-in-september/) has gone as far as telling the exact date of the event- 20th June. Going by the track of Apple launching the iPhone's every year- iPhone 1, 3G, 3GS and 4 was launched in June, while iPhone 4S and 5 were launched in October and September respectively. So, it might be possible that the iPhone 5S will be launched on June and released in market in July. Every year, Apple's launch of just one phone takes on the massive competition against the variety of hardware and software at various price-points by its rivals. That might change this year. Rumors suggest that Apple will launch two iPhone this year, one being premium phone- iPhone 5S and the other a cheaper version- iPhone 6. iPhone 5S will be loaded with top of the line features, while iPhone 6 may share its screen size and design from previous versions of iPhone. The design would probably be same as that of iPhone 5. The camera might be upgraded to 13 MP sensors, since most of its rivals are also offering high pixel count camera. It is also speculated that some sort of fingerprint sensor will be integrated in the phone underneath its home button. That totally makes sense as it will allow users to login with their fingers and not worry about remembering usernames and passwords. It will also make the phone secure for using it in any kind of financial transactions. 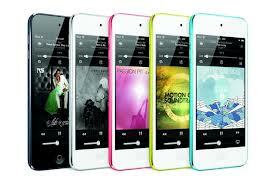 The phones can also be launched in several colors apart from generic Black and White versions. Not much can be said about the processor, but definitely it would be upgrade to Apple A6 present in iPhone 5, so chances are iPhone 5S will have Apple A7 processor. Nokia Lumia 920 has shown the usage and need of wireless charging very well, hopefully iPhone 5S will also come with Qi wireless charging standard. The phone might also come with NFC (Near field communication) which will enable card-less payments through iPhone 5S. It will also enable sharing with other NFC capable phones by just one click. So, there you’ve it. All the rumors suggest that the Apple is leaving no stone unturned to make sure that iPhone’s next version packs all the features that will make it different and probably better than its rivals. The Author of this post is Julia. She wrote several tech articles for 91mobiles.com. You can also compare Apple iPhone 5s with other iPhones here.